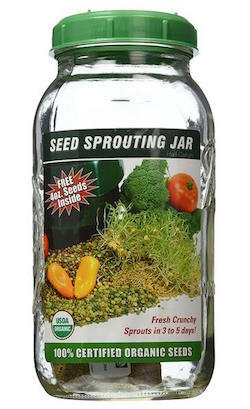 This half gallon sprouting jar is everything you need to get started. Includes a strainer lid, 4 ounces of organic alfalfa seeds and detailed instructions on the label. Easy jar method to grow sprouts with the size to grow in quantity.